Ladies, Get Ready!! Pamper Me Pretty Beauty and Spa Event Set to Hold on December 16th..
Ladies, ring the alarm as “PAMPER ME PRETTY”, the highly anticipated SPA BEAUTY & WELLNESS DAY brought to you by AESTHETICS COSMETICS is set to be held on DEC 16th, 2012 from 12NOON – 7PM at SWITCH LOUNGE located at #1 Dr Ladi Alakija Ave Lekki Phase 1 Lagos, Nigeria. The Pamper Me Pretty event has been carefully designed to celebrate women of all ages in the Nigerian community by providing largely discounted spa beauty services in a relaxing lounge space that will guarantee the ultimate pampering experience. Spa beauty services provided at the event will include EXPRESS SPA FACIALS, MANICURES, PEDICURES and MAKEOVERS starting at a low discount rate of 2500 NAIRA ONLY!. Gbemisola Ogunyomi CEO of Aesthetics Cosmetics will be present at the event providing FREE workshops on skin care, hair care and total body wellness. 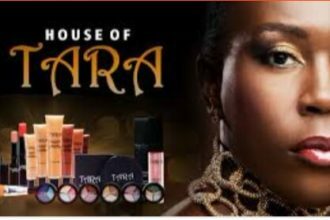 Ladies will also have the chance to shop for discounted luxury beauty and spa products from The AESTHETICS COSMETICS REDWINE, BLUEBERRIES and OMEGA 3-HEMP SPA SKIN & HAIR CARE COLLECTION in addition to their highly pigmented makeup beauty products. Other vendors at the event will include LO ’LAVITA LUXURY HAIR, ANGEL MINARO Luxury Spa beauty products by ROSEBUDNG, M.A.C COSMETICS beauty products by MY MAKEUP, bold statement jewelry pieces by LOYATOBS, Natural Hair Care products by OLORI HAIR and so much more. Some of the guest appearances for this event will include the amazing radio hosts Gbemi of 99.9 THE BEAT FM and Kaylah of 96.9 COOL FM. Tune in to 96.9 COOL FM’s CATWALK with KAYLAH on Thursday Dec 13thstarting at 5PM and on Friday Dec 14th on 99.9 THE BEAT FM’S DRIVE TIME SHOW with GBEMI starting at 4pm for one on one interviews, beauty advice and awesome product giveaways with the CEO of Aesthetics Cosmetics. Follow Aesthetics Cosmetics and our Media Partners on Twitter: TOOLZ (99.9 THE BEAT FM) @ToolzO; @GbemiOO; @KaylahSSH; @Olorisupergal; @AestheticsCo; @PamperMe2012 and log on to www.aestheticsbeautyshop.com, www.toolzo.net and www.olorisupergal.com for more information on this event. If you will like to be a vendor at the Pamper Me Pretty Event please contact us immediately at contact@aestheticsbeautyshop.com ; ubong@verbanaservicing.com and ene@verbanaservicing.com. RETAIL VENDOR BOOTHS ARE AVAILABLE FOR A DISCOUNTED RATE OF 15,000 NAIRA ONLY.